It is a counter-intuitive fact that people with a lot of knowledge predict poorly. Whether it is interest rate, diagnosis of a patient or fashion forecast, it is no different. Let’s find out why and also see what experts can do to improve the chances of better prediction. 1. Many people accept their new jobs without consulting few people who currently or formerly held the same title. Shouldn’t their “reviews” be as valuable as a stranger’s assessment of a restaurant or a mobile phone? Inside View: Does this look like the kind of place where I would enjoy staying? Outside View: How much did people, in general enjoy staying there? Digging a bit deeper into decision science, sometimes even with full data, people still manage to ignore it.This happened with Daniel Kahneman, the Nobel Prize-winning psychologist himself when he and his colleagues wanted to write a school text book on judgement and decision making. Kahneman wanted to test how good they were in predicting future. He asked his colleagues and the Dean on how long they think it would take to complete The range given by all of them was close 1.5-2.5 years. Kahneman realised that the Dean had prior experience on how long it takes normally. When he asked the dean on the past experience, the Dean said “40% of the groups never finished writing the curriculum and the group that did finish took 7 to 10 years”. Even the most experienced Dean went by his inside view inspite of having the relevant information. The curriculum actually took 8 years to complete. 1. Experts are great at assessing base rates. Base rates in statistics terminology provide the record of other people in similar situation. For eg. 60% of restaurants fail in the first 3 years. Phil Tetlock’s, a professor of psychology at the University of Pennsylvania met with similar results when he evaluated prediction accuracy of experts on political future. He concluded, “it is impossible to find any domain in which humans clearly outperformed crude extrapolation algorithms.” Extra education or experience did not boost accuracy. Experts with more media appearance are worst predictors. A quick check on the way fashion predictions reveal that there is a fair amount of future validating questions that are asked to experts (wholesale partners or internal stakeholders).What needs to be done to bring in true “Outside View” into fashion decision making? 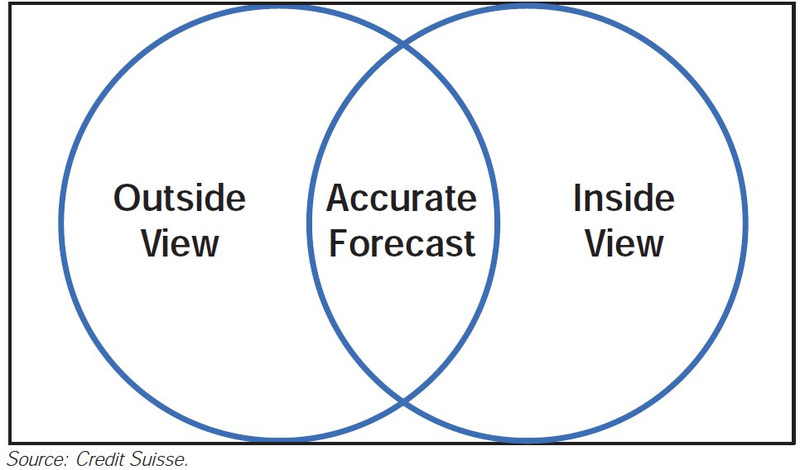 With consumer information available a lot more than ever before, smart usage of data both from outside and inside to derive insights is one big step towards formally bringing in “Outside View” into the decision process. 3. Take little bets before you make the big leap. Instead of “All or nothing” choose “Little Something”. This helps you to reality test your assumptions. With the ability of machine vision, our AI models are able to predict 40-50% better than existing fashion prediction processes. Stylumia APOLLO has demonstrated this across Fashion and Shoes categories with our existing clients. We are committed to enabling brands and retailers with customised APOLLO for your context. 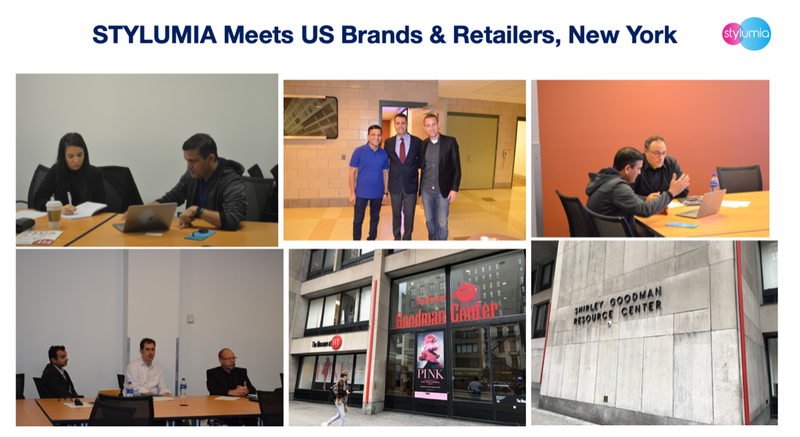 We were in New York (at FIT, NYC) last week meeting leading US brands and retailers like Macy’s, Ascena Group, Bloomingdales, Estee Lauder, Brooks Brothers, Fast Retailing & More. Prediction is one of the key areas of interest and we captured some of the memories. Hope this edit threw some light on our confirmation bias and how it can adversely impact decision making for the future and equipped you with some new approaches.